After two major hurricanes swept through the Caribbean in September 2017, leaving unprecedented destruction in their path, International Medical Corps responded quickly, providing critical assistance to survivors. A year later, we remain in the region, helping residents of Puerto Rico and areas of south Florida recover and rebuild for a safer future. We also provided several months of emergency relief to citizens of Dominica in the immediate aftermath of Hurricanes Irma and Maria. Hurricane Irma was recorded as the 11th most intense hurricane in the Atlantic basin, maintaining maximum intensity for 37 hours and hitting the Caribbean the week of September 5th. Hurricane Maria followed less than two weeks later, traveling over Dominica on September 18th as a Category 5 storm, and later over Puerto Rico on September 20th. Puerto Rico's electric power was officially declared completely restored August 14th, 2018--nearly 11 months after Hurricane Maria hit. The Category 5 storm Hurricane Irma hit the Atlantic basin the week of September 5, 2017, maintaining maximum intensity for 37 hours and leaving 1 million people in Puerto Rico without power. Less than two weeks later, Hurricane Maria followed. Both storms were catastrophic to the island, home to 3.4 million U.S. citizens—leveling homes, destroying health facilities and damaging critical infrastructure. It took nearly a year to restore electric power to all the homes and businesses following the storms, which took out 80% of all power lines and flooded most of the island’s generators. International Medical Corps arrived in Puerto Rico within days of Hurricane Maria and today continues recovery work in collaboration with La Asociación de Salud Primaria de Puerto Rico (ASPPR), a network of 76 health clinics focused on providing care to low-income families across the island. We are currently working on a long-term project to strengthen the island’s emergency response system. In December 2017, we expanded our efforts to help Puerto Ricans access healthcare through mobile medical units, which are providing home visits for patients in hard-hit communities who are unable to travel to health facilities for treatment. As immediate relief efforts have shifted to recovery, International Medical Corps continues to provide power, clean water, communications and cash grants to 26 health facilities and local clinics, which have reached more than 63,000 people. 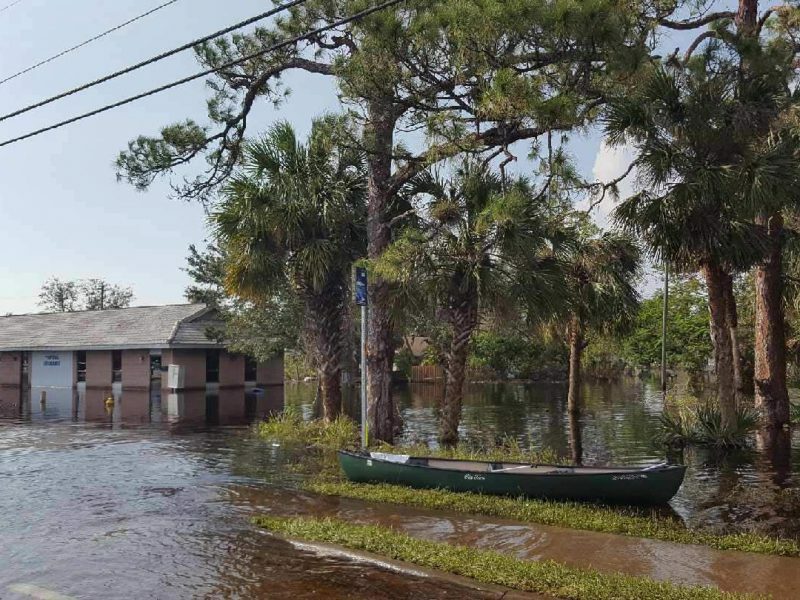 Primary healthcare became harder to access in the aftermath of the hurricanes, as demand for urgent care spiked, crowding out time for treatment of more routine chronic conditions. International Medical Corps addressed this gap by partnering with five federally qualified health centers in Puerto Rico to increase community outreach in remote areas. In total, we deployed 20 volunteer doctors and nurses in six teams to support mobile medical centers across the island, providing consultations for nearly 1,000 patients in 46 municipalities, known as barrios. This support also helped give local health workers—many of whom had been responding nonstop since the storms hit—a break. Puerto Rico’s power supply was fully restored only recently, nearly a year after Hurricane Maria hit—and it remains fragile. Many health clinics have resorted to limiting their hours of operation or providing care in smaller spaces that can be powered by a portable generator. 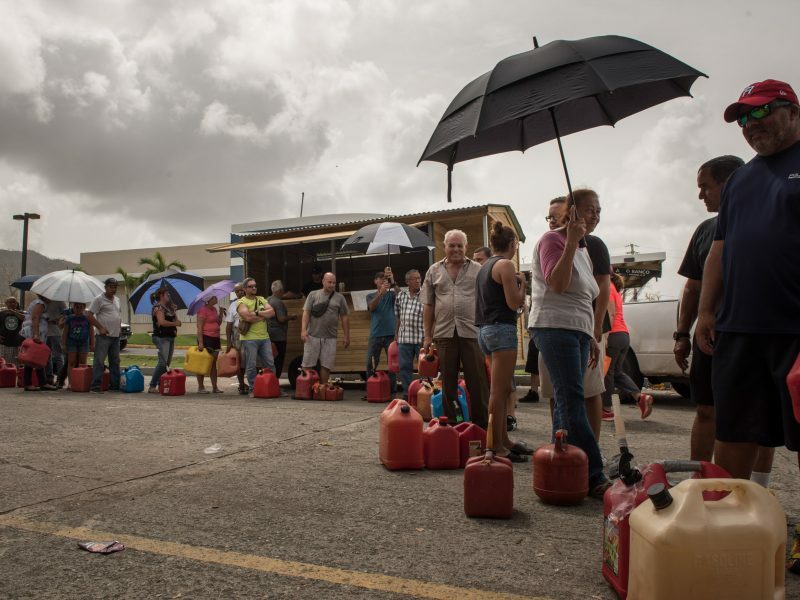 International Medical Corps has provided generators to seven clinics and San Juan-area hospitals that would otherwise have had severely limited operating capacity, or would have closed down completely. The generators provided an additional 1,800 clinic hours of service. Maintaining adequate refrigeration for life-saving medications, especially those for chronic care and critical vaccines, has been an ongoing challenge. Our team continues to support the supply of medications across the island, especially those that require cold storage and transport. Without electricity, Puerto Rico’s residents were unable to pump water into their homes for cooking, bathing or toilet-flushing. Though water services have largely been restored, significant health concerns remain, due to a lack of reliable drinking water in several municipalities. International Medical Corps has provided 500-gallon capacity water bladders to six health facilities to help increase access to potable water. We have also distributed nearly 15,000 hygiene kits, as well as wound care kits, solar lights and other supplies, to help families stay healthy in the aftermath of the hurricane. The damage to Puerto Rico’s power and water infrastructure hit nursing women with infants and young children particularly hard. To address these concerns, International Medical Corps worked with the Department of Health to launch a program promoting healthy infant and young-child feeding (IYCF) practices. Through our two local partners, La Liga de La Leche and Alimentacion Segura Infantil, we have provided individual breastfeeding counseling and facilitated mother support-group sessions. To increase community support and adoption of IYCF practices, International Medical Corps is raising awareness in the community through workshops, radio spots and social media content that focus on the life-saving effects of breastfeeding. International Medical Corps continues to support the health and medical needs of Puerto Ricans still struggling to recover from the hurricanes, working to ensure a stronger, safer island. Together with the Primary Care Association of Puerto Rico (ASPPR), we have embarked on a $1.3 million, 13-month program to integrate community health centers into the island’s emergency response system, as a critical step to reduce the deaths and injuries that could occur in future disasters. We are assisting ASPPR with funding to hire full-time emergency managers who can create an emergency preparedness program that will benefit all member health centers and deliver mental health training to healthcare workers. 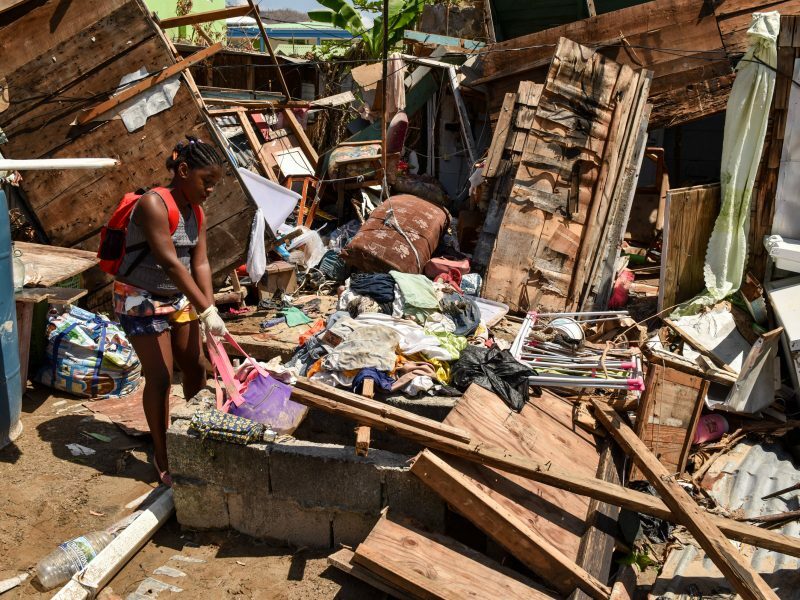 Nearly a year after hurricanes Irma and Maria cut a path of destruction through the Caribbean in September 2017, International Medical Corps continues to support thousands of those in Florida affected by the powerful storms. In and around Fort Myers on Florida’s west coast, we work with a local network of 30 clinics in that reach 80,000 underserved men, women and children. In the Mimi/Dade County areas on the Atlantic coast, we continue to provide no-cost medicines to a network of clinics that serve vulnerable families, ensuring that they continue to receive care for chronic diseases like diabetes, and easing their financial burden as they recover and rebuild in the wake of the storms. In the immediate aftermath of the storms, with many clinic staff members displaced from their homes, International Medical Corps provided sanitation facilities enabling them to return to work. We also helped restore power to a clinic in Bonita Springs that serves some 30,000 people. We signed a Memorandum of Understanding with the Florida Department of Health saying that, in an emergency, we would support the medical needs of shelter residents and extend medical care into the hardest hit areas with our international field hospital resources. We agreed to provide training to community health centers across the state on emerging infectious diseases and Infection-control prevention measures, to help local communities better manage the public health emergencies and diseases that frequently occur following a natural disaster. On the island of Dominica, Dr. Melina Brecknell sees a pediatric patient during rounds. International Medical Corps medical volunteers have been supporting health centers and mobile medical units in St. John’s and St. Andrew’s parish, relieving health workers and filling personnel gaps. In Puerto Rico, as of November 7, only 40% of power has been restored and coverage is uneven and unreliable. A significant portion of the population do not have access to water. Those with water are being told to boil or purify their water before drinking it. Actress Tara Summers, together with International Medical Corps, raised funds to bring 700 solar-powered lamps to Puerto Rico. She and our team distributed lamps and visited hospitals and clinics in remote towns hard-hit by the storm. In Dominica, International Medical Corps has deployed medical volunteers to support local health facilities and mobile medical units. Help survivors in crisis around the world.